The ruling Zanu-PF party on Tuesday accused army chief General Constantino Chiwenga of "treasonable conduct" after he criticised Mugabe for sacking vice president Emmerson Mnangagwa. 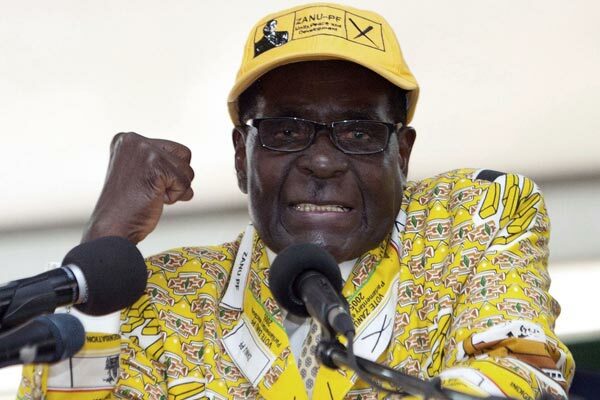 Zimbabwe's military appeared to be in control of the country Wednesday as generals denied staging a coup but used state television to vow to target "criminals" close to President Robert Mugabe. Mugabe's decades-long grip on power was dramatically weakened as military vehicles blocked roads outside the parliament in Harare and senior soldiers delivered a late-night television address to the nation. "We wish to assure the nation that his excellency the president... and his family are safe and sound and their security is guaranteed," Major General Sibusiso Moyo said, slowly reading out a statement. Mnangagwa's dismissal left Mugabe's wife Grace, 52, in prime position to succeed her husband as the next president — a succession strongly opposed by senior ranks in the military. 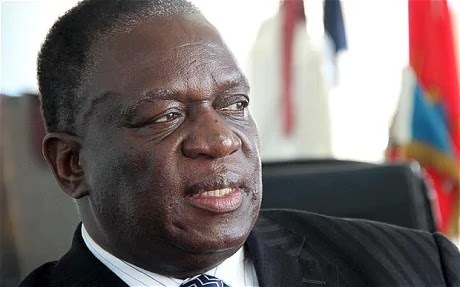 Emmerson Mnangagwa is a politician and former vice president of Zimbabwe. Mnangagwa, born September 15, 1946, is nicknamed "Ngwena," or "The Crocodile." In 1963, soon after modern Zimbabwe's ruling party ZANU-PF was formed, Mnangagwa was part of the first group of young party leaders sent to China for military training. Upon his return, he earned his nickname by leading a group of fighters called the Crocodile Gang during the country's war of independence against Rhodesia's white-minority rule. Mnangagwa's gang blew up several trains. He was arrested in 1965 and sentenced to death. He escaped that fate because his lawyers successfully argued that he was under 21 and hence underage for the hangman's noose. But he was brutally tortured and spent 10 years in jail, where he met and befriended Robert Mugabe.